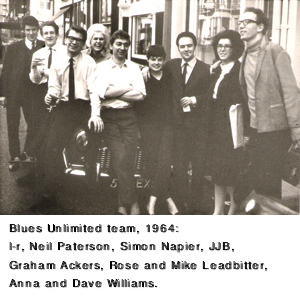 1963: Mike Leadbitter launched Blues Unlimited, the first international blues magazine, with Simon Napier at Bexhill-on-Sea, Sussex. Wrote for my former Bexhill Grammar School colleagues in debut issue with article on Louisiana record man Jay D. Miller. Contributed to BU until 1984. 1970s-80s: Many LP liner notes/compilations for Ace, Charly, EMI, Flyright, Pathé Marconi, Sonet and others. 1985-92: Co-editor Juke Blues with Cilla Huggins and Bez Turner. 1991 on: After Midland Bank career, joined Ace Records of North London under Ted Carroll, Trevor Churchill and Roger Armstrong. Among Ace CD releases were B.B. King box set (with Colin Escott); and “Golden Age of American Rock ‘n’ Roll” (jointly), “Cajun Classics,” “Teen Beat,” Excello-Nashboro and Modern Downhome (with Dave Sax) series. Also 4-CD “The Excello Story” (Universal/Hip-O) and Fats Domino box with Alan Warner (EMI). 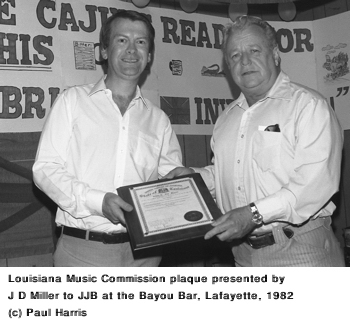 1982: Honorary membership of Louisiana Music Commission. 1993: “Iry LeJeune: Cajun’s Greatest” Ace CD (from Goldband) selected as An Outstanding Folk Recording by American Folklife Center, The Library of Congress. 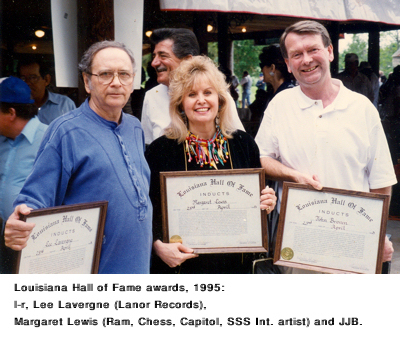 1995: Louisiana Hall of Fame induction. 2000: Ace Records award, jointly with Rob Finnis and Trevor Churchill, for combined CD sales of 100,000 for the “Golden Age of American Rock ‘n’ Roll” series. 2010: “Record Makers and Breakers,” ARSC Certificate of Merit. 2011: “Walking to New Orleans” inducted into The Blues Foundation’s Blues Hall of Fame. 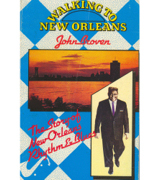 2014: Part of the John Broven record collection with archive acquired by Library of Congress. 2017: Slim Harpo “Legend” Award in Baton Rouge, Louisiana. at Rock and Roll Hall of Fame, Cleveland, 2009. 2008: Ponderosa Stomp, New Orleans. Joe Bihari of Modern Records, with Jim O’Neal; and Louisiana swamp pop (with Johnnie Allan, Sam Montalbano, David Rachou and Harry Simoneaux). 2009: Panels at Ponderosa Stomp and Jazz Fest, New Orleans. Joe Bihari inverview at the Rock and Roll Hall of Fame, Cleveland. 2010: Panels at Ponderosa Stomp, New Orleans: Floyd Soileau, Johnnie Allan and Leroy Martin (with Mike Hurtt), and Dave Bartholomew (with Dr. Ike). 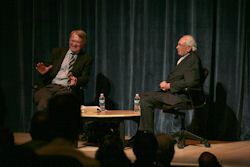 Dave Bartholomew interview at the Rock and Roll Hall of Fame, Cleveland. New Orleans R&B presentation to EMI Records, New York. “Golden Crest Records and the Huntington Station Connection” at Huntington Library and Three Village Historical Society, Setauket, NY. 2011: “Record Makers and Breakers” presentation at the Global Popular Music Business Conference, University of St. Andrews, Scotland. Interview session with Joe Bihari of Modern Records, ARSC Conference, Los Angeles. 2013: “Born to be a Record Man.” Interview session with Donn Fileti, Relic Records, at the ARSC New York chapter, Harlem, NY. 2014: Presentation on the Cosimo Code website with Red Kelly at Suffolk County Community College, Selden, Long Island. 2015: French Quarter Festival, New Orleans with Fred Kasten, Red Kelly, Deacon John and Allen Toussaint. Ponderosa Stomp Conference, New Orleans with swamp-popper Gene Terry. 2016: The Blues Unlimited Connection" with Bill Greensmith, ARSC Conference, Bloomington, IND. "Fats Domino Meets Satchmo," Satchmo Summerfest, New Orleans. "Long Island in the 60s: Golden Crest Records," Long Island Museum, Stony Brook, NY. NPR, USA: “In the Mood” with Rex Doane; WFDU, New Jersey: “Sounds of Blue” with Bob Putignano; WRFU, New Jersey: “Big Beat Show” with Lou Rallo; WRHU, Long Island, NY: “R&B Serenade” with Frank Gengaro & Gordon Skadberg; Radio Hilversum, Holland; WAMU 88.5, Washington, D.C.: “Home Town Special” with Jay Bruder. Local radio and television in New Orleans and South Louisiana.